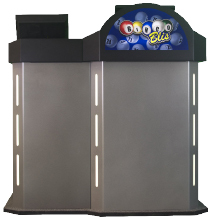 Blis Linked Bingo features live human bingo calling directly from a Linked Bingo venue. Any site can opt-in to calling a game of Bingo. Alternatively sites can act as ‘Satellite Club’, enabling them to play without ever calling a number. Unlike some other systems, nothing is pre-recorded and the sound quality is crystal clear. By having real callers, players can engage in a much more exciting atmosphere which adds real value to the game. Typically there will be a Caller schedule which lets participating venues know which site will be calling on any specific day. We’ve found that many players would like to keep playing after the last game so we designed a feature that allows other clubs to become the caller when the designated club is finished. In a short time this feature has allowed players to keep playing Linked Bingo for an extended amount of time. The Link server is always on which allows the calling club to dictate when the game starts. Much like the Caller schedule, usually there is a guide as to when to start playing but if some clubs are running a promotion or have players ready to play the Calling club can start the game. All public-facing devices have been overhauled and carefully redesigned to create a modern and exciting atmosphere. 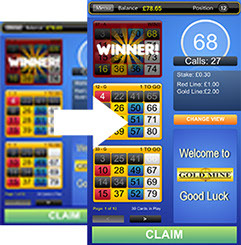 The Public Display software allows you to create your own adverts and display them as often as you wish, as well as advertising Bingo and Slot games. 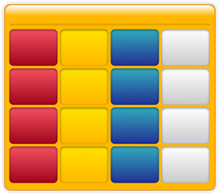 The Bingo software displays all of the vital information clearly with beautiful graphics and unique features such as Grid View and Catchup. The Callers software is incredibly simple to use which allows Callers to run through games and claims swiftly. By offering Blis Linked Bingo players can benefit not only from a real game of Bingo called by real Callers, but much larger prizes than in-house Bingo. Over 120 games are played every day with the minimum price amount set to £5 and with static Jackpots up to £200. With the introduction of the new 75-number game Jackpots could rise to even larger amounts. 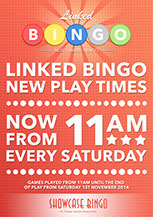 By linking with other venues you can offer Bingo without having to worry about how many players are playing. This means your players always have the chance to win the highest prizes. 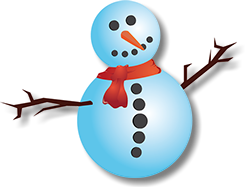 The versatility of the Public Display allows us to offer themed Linked Bingo games including holidays such as Christmas, Halloween and Easter. 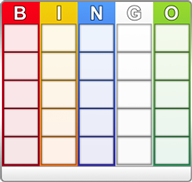 Three different variations of Bingo are played during the Link session with the most popular being 80 Number Cash Bingo. 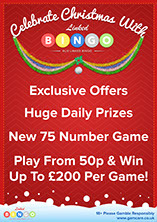 90 Number Ticket Bingo is played less frequently but offers larger prizes whilst 75 Number Bingo is the latest addition and offers accumulative Jackpots.